Last week I did a post advising readers in Haywood County that the commissioners were considering three new gun ordinances ranging from prohibition of firearms in all county buildings to an ordinance regulating shooting ranges. I'm pleased to say that thanks to the efforts of Grass Roots North Carolina and others there was a very large turnout at the County Commission meeting last Monday. Not one person who spoke did so in favor of these ordinances. As I heard unofficially on Friday, the Haywood County commissioners have tabled these proposals. Now, as the alert below from GRNC makes clear, they have officially tabled them for the time being. The new proposed outdoor shooting range ordinance would have exempted police ranges from the restrictions of the ordinance. While a private shooting range would have had to have a 300 foot property line buffer, no such buffer was required of police ranges. This is probably because they would have failed to meet that standard. My friend Tim Glance of Old Grouch Military Surplus pointed out another interesting wrinkle. The range that the Waynesville PD uses for training and qualification is not owned by the town. It is owned by a private association of police officers. By the standards of the county's ordinance, it would not have been in compliance though it would have been grandfathered in. I salute those who could attend the meeting, those like Paul Valone that spoke, and those that wrote in to the commissioners. During this election year, your voices were heard. We need to keep up the pressure on the commissioners to scrap these ordinances. ARE HAYWOOD COUNTY COMMISSIONERS HAVING SECOND THOUGHTS ABOUT SNUBBING THE LAW-ABIDING? What started as a proposed ordinance to ban ALL open and conceal carry has resulted in some potential backpedalling by Haywood County's commissioners. Last week's county commission meeting to discuss this proposed ordinance was a HUGE victory for gun owners like yourselves. Not only did nearly 400 gun rights activists pack the meeting and let themselves be heard, but the county has now announced that "The Haywood County Board of Commissioners will not take any action at their regularly scheduled meeting of Monday, April 4, 2016 on the proposed ordinances for Carrying of Concealed Weapons and Displaying of Firearms ..."
Scorched by hundreds of angry voter contacts, the Haywood County manager last week attempted to justify the commission’s actions as an attempt to bring the county’s 1995 ban on concealed carry in parks into compliance with changes in the law. In reality, the commission attempted to manipulate statutory definitions to continue gun bands which are no longer legal. In addition to banning open carry and concealed carry in all county buildings, their proposed changes would reclassify Allen’s Creek Park as a “recreational facility” and ban guns throughout the park in violation of recent changes which GRNC made that more narrowly define recreational facility to only athletic fields during scheduled events, swimming pools, and gymnasiums. GRNC president Paul Valone was the first to address the commission. In addition to noting that their parks restrictions were illegal and would result in a lawsuit which they could not win, he pointed out that just because they had had restrictions since 1995 in other county facilities didn’t mean they should continue those restrictions. Haywood County is slow to learn what twelve other North Carolina counties have discovered: that reducing restriction on the lawful concealed carry of firearms helps save lives and keep citizens safe. Despite what the naysayers would have us believe (more on them in a minute), county governments like that in Haywood County are being put on notice that law-abiding citizens will not tolerate being disarmed for their so-called protection. The next meeting of the Haywood County Commissioners is tomorrow (Monday) evening, and we strongly encourage our members to remain vocal about their opposition to this proposed ordinance. These politicians need to be told, in no uncertain terms, that enacting these sorts of restrictive ordinances (especially ones that may put them in violation of state law) will have consequences at the polls and in the courts. And speaking of the naysayers ... we thought you should also know that the astroturf group North Carolinians Against Gun Violence (a wholly owned subsidiary of Michael Bloomberg) had the audacity to plagiarize GRNC's March 26 alert and calling for its members to attend the meeting. The evidence of this group's ineptitude was clear: when asked by one of the speakers addressing the commission for a show of hands of all who supported the proposed gun ban, none of the attendees at last week's meeting identified themselves as a member of this shady organization. We know that imitation is the sincerest form of flattery, but this simply proves that astroturf will never equate to real grass roots support. EMAIL THE HAYWOOD COUNTY COMMISSIONERS. 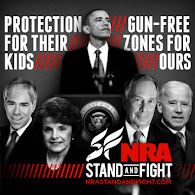 Urge them to scrap the gun-ban ordinance altogether. Below, find a copy/paste email list, and under 'Deliver This Message,' you'll find a copy/paste email message to send. Let North Carolinians Against Gun Violence know that plagiarism is stooping to a new low, even for them. We suggest leaving them a polite note on their Facebook page encouraging them to come up with their own material for alerts to their "supporters." Something short and sweet like "Hey gun grabbers, can you please stop plagiarizing Grass Roots North Carolina when you send alerts to your "supporters?" Suggested Subject: "Scrap the Gun Ban in Haywood County"
I have recently been informed of the gun ban that is being considered by the Haywood County Commission, and I am writing to urge you to scrap bans on open and concealed carry on county property entirely. As the nearly 400 gun supporters in attendance at last week's meeting made abundantly clear, a patchwork of “gun-free" zones serve only to make accidental criminals out of otherwise peaceful, law-abiding citizens, while doing nothing to ensure anyone’s safety. A vote to close all county facilities to the lawful carry of handguns will only convey a disrespect for civil rights as they relate to the Second Amendment, and will ultimately endanger both the citizens and employees of Haywood County. You may be unaware of the new trend that is currently sweeping our state. In recent months, county after county, after recognizing the fallacy of "gun free" zones, has moved in the direction of more gun-freedom rather than less: Alamance, Ashe, Cabarrus, Cherokee, Craven, Forsyth, Lenoir, Pitt, Person, Rowan, Union, and Wilkes ounties, and the list continues to lengthen. This is a positive trend, and I would strongly recommend that Haywood County consider this course, rather than a sure-to-be fruitless and disrespectful gun ban. I will continue to monitor this issue through alerts from Grass Roots North Carolina. Wasn't Brad Pitt Supposed To Be "Good" On Guns?